I’m teaching my hamsa class again, 7/23! A hamsa is a stylized hand for protection against the “evil eye,” frequently worn as jewelry. Found throughout the Middle East, hamsas are traditionally made by both Jews and Muslims, but predate both religions. Come learn about the folklore of hamsas, as we make them out of paper or fabric. The basics of paper-cutting, a traditional Jewish folk art, will also be taught. The class will also cover techniques to make intricate fabric appliqués with that can be ironed onto a backing. 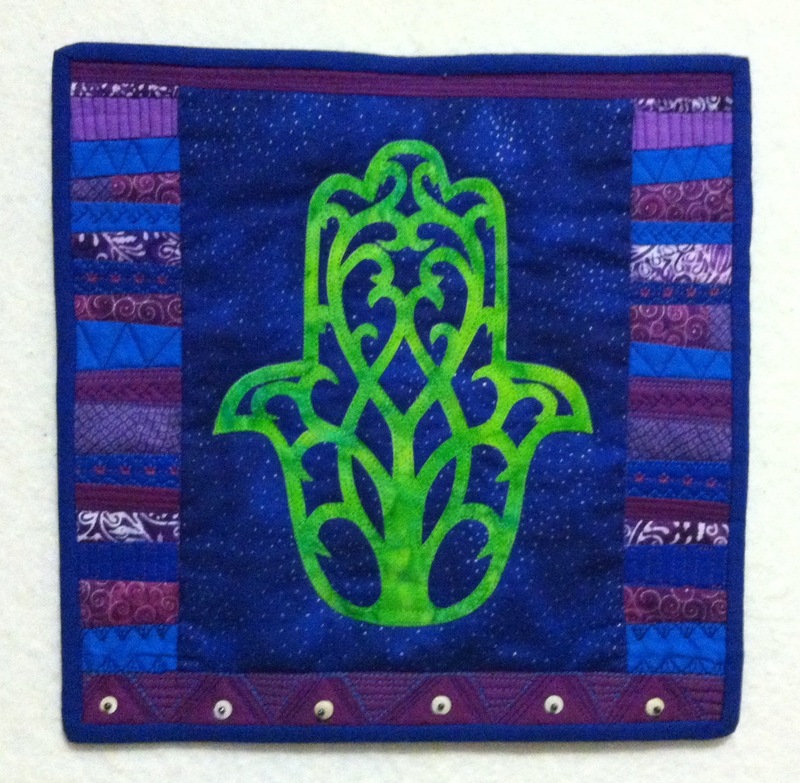 No artistic talent or sewing is required to make stunning hamsa designs. The finished paper-cut hamsa can be framed to hang on the wall and a fabric hamsa can be a wall hanging or become part of a quilt. This class is open to adults and children age 10 and up may participate as long as they are accompanied by an adult who is also in the class. Students will be working with exacto knives in the class. Please sign up! It will be a lot of fun, with useful information. This entry was posted in Classes, hamsa, Machine applique. Bookmark the permalink.